Utah Air Conditioning: 30 years offering expert and affordable Air Conditioner service. Get your air conditioner repaired. 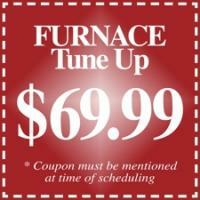 Our staff of 30 Utah air conditioning service techs will get your air conditioner repaired and working. We give our air conditioning customers great service at a fair price for a broad spectrum of air conditioner and equipment needs. We currently have a workforce of 30 Utah employees which enables us to provide timely and efficient air conditioning services to our customer and client bases, including all of Salt Lake City Utah, Park City & the Wasatch Front areas for Furnace Heating, Air-Conditioning, Service and Duct Work installation, repairs and maintenance. Established in 1982, SCS Sheet Metal, Inc., has been dedicated to Air Conditioning service in Utah and nearby states including offering Air Conditioning repairs in Idaho, Wyoming and Colorado. Since our inception as Utah Air Conditioning installers, we have enjoyed a strong growth in the communities by providing our customers with great air conditioning service at a competitive price for a broad spectrum of Air Conditioning equipment. We currently have a workforce of over 30 Utah air conditioning technicians which enables us to provide timely and efficient services to our customer and client bases, for air conditioning installation, air conditioning service, air conditioning repair, and air conditioning replacement along with all mechanical system installations. The main strength of SCS Sheet Metal is our highly experienced and educated employees, specialized in the air-conditioning industry. By hiring the most competent and trained employees available we have been able to differentiate ourselves from our fUtah air conditioning competitors and provide unmatched expertise, service and value to our customers. We are currently in good standing as a member of Dunn Bradstreet, and Better Business Bureau. We continually strive to provide excellent quality and service, for our projects and our clients. We have taken pride in years of professional service with air conditioning and HVAC installations through out the western states. Utah Air Conditioning: 30 years offering expert and affordable Air Conditioner service. Get your air conditioner repaired. Our staff of 30 air conditioning service techs will get your air conditioner repaired and working. We give our air conditioning customers great service at a fair price for a broad spectrum of air conditioner and equipment needs. We currently have a workforce of 30 employees which enables us to provide timely and efficient Utah air conditioning services to our customer and client bases, including all of Utah, Park City & the Wasatch Front areas for Furnace Heating, Air-Conditioning, Service and Duct Work installation, repairs and maintenance. Air conditioning repairs by experienced Utah Air conditioning Service and Repair company with 30 years experience in repairing air conditioning and offering air conditioning repair. For air conditioning repairs in Utah SCS is the best air conditioning repair company offering air conditioning service and repairs. SCS will repair your Utah air conditioning, SCS will repair your air conditioning, all your Utah air conditioning repair needs can be done by SCS. 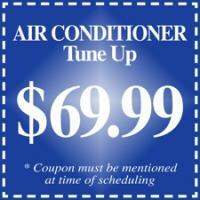 Repair your air conditioning with air conditioning repairs by SCS in Utah. Air conditioning service by experienced Utah Air conditioning Service and Repair company with 30 years experience in air conditioning service and repair. For air conditioning service in Utah SCS is the best air conditioning servicing company offering air conditioning service and repair. SCS will service your air conditioning, SCS will repair your Utah air conditioning, all your air conditioning service needs can be done by SCS. Service your air conditioning with air conditioning service by SCS in Utah. Air conditioning replacement by experienced Utah Air conditioning replacement company with 30 years experience in air conditioning replacements. For air conditioning replacement in Utah SCS is the best air conditioning replacement company offering air conditioning replacements. SCS will replace your air conditioning, all your Utah air conditioning replacements needs can be done by SCS. Replace your Utah air conditioning with air conditioning replacement by SCS in Utah. Air conditioning installation by experienced Utah Air conditioning install and installation company with 30 years experience in installing air conditioning and with air conditioning installation. For air conditioning installs in Utah SCS is the best air conditioning installation company offering air conditioning installs and repair. SCS will install your Utah air conditioning, SCS air conditioning installs will get you going, all your air conditioning installation needs can be done by SCS. Install your Utah air conditioning with air conditioning installation by SCS in Utah.